We offer you amazing hunting days in the south of Spain. Therefore, we have chosen some of the best hunting reserves in Andalusia and Castilla La Mancha, where low forest is mixed with olive tree groves, wheat, corn and sunflower plantations to get the most suitable landscape for animal breeding and shooting. This combo includes red legged Spanish partridges, pheasants, quails, and thrushes. You and your friends will live our traditional thrushes shooting days in the beautiful Spanish southern fields. €2,550 for 2 days / 1 hunter - 3-6 guns per group. We offer you amazing hunting days in the south of Spain. Therefore, we have chosen some of the best hunting reserves in Andalusia and Castilla La Mancha, where low forest is mixed with olive tree groves, wheat, corn and sunflower plantations to get the most suitable landscape for animal breeding and shooting. This combo includes red legged Spanish partridges, pheasants, and thrushes. You and your friends will live our traditional thrushes shooting days in the beautiful Spanish southern fields. €1,780 for 2 days / 1 hunter - 3-6 guns per group. 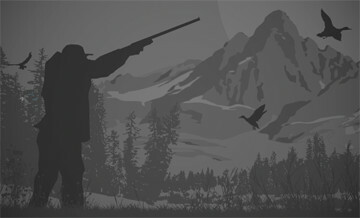 For the hunting program, we offer our customers various types of hunting small game from October to late March: partridge, hare, pigeon, thrush, quail, woodcock, turtle doves, ducks, pheasants and wild boars. Partridges and pheasants hunting is possible from the beginning of October to the end of March. By cons, for wild partridge, the quota is limited to 4 pieces / hunter per day + a hare only from October to late December. Duck, woodcock and pigeon are available from early October to mid-February. The best period for woodcock and duck starts at the end of November depending on rainfall and temperature. You can choose one of the following for your hunt: 4 partridges + 1 hare, Or, 5 pheasants package Or, 4 ducks package Or, 4 woodcocks maximum package Or, 10 pigeons maximum package Or, 20 Thrushes maximum package Or, 20 quail maximum package If you want to add another package you have to pay 260€ extra per person.